Are you employing a Local SEO strategy for your business in Minneapolis? You don’t have to spend energy attempting to arrive on page one of Google’s national search engine results page (SERP’s) –you can go local, and have considerably more impact. There is a separate algorithm for national and local searches. Targeting a relevant audience in your geographic area can mean less competition and a chance to rank in one of the top three slots. You’re speaking to a much smaller number of people who are more likely to benefit from from product or service. To make it to one of the local 3-pack SERP’s slots you will need to start adding more local indicators in websites content, titles, headings, meta descriptions etc. (more about that later). So how are you going to let Minneapolis know all about your thriving business? How do you communicate with your local target audience? Let’s take a look at four key areas you can tackle to rock the top slots. When Google is deliberating on where to rank you on its SERP’s it takes into consideration your Google Maps listing. You need to have a Google My Business account to be recognized by the mighty algorithm that looks at relevance, distance, and prominence. Your listing must always be up to date with a local Minneapolis phone number. Your Google Map location of your business must be embedded into your website on your contact us page. Be sure that your business features in online directories that also offer the ability for review potential (like Yelp!). But one of the key contributors to higher ranking is the number of reviews about your business online. If you get an avalanche of positive reviews on sites like Bing Local, Yahoo local, Angie’s List, Superpages, Houzz and Yelp, then Google will take notice of you. They are able to pick up trust signals from your customers and will reward you for offering a superior product or service. Creating opportunities for your customers to offer their feedback on multiple channels ensures that you will continue to rise in the ranks (provided of course that the reviews are good). There are so many exceptional companies in the Minneapolis area and you have to find the way to stand out from the crowd. We are all looking for social proof that tells us that a business is legitimate and offers a superior customer service experience. Reviews are the way to get elevated online. Create a link to encourage customers to leave reviews. Reviews are not a one-way street where you expect customers to leave great reviews and that’s all that is required. You have to constantly manage and respond to all reviews that you receive. When you take the time to reply, you are showing customers that you value their opinion and it spurs on more reviews. People are looking for engagement and interaction with companies they choose to support in their Minneapolis hood. 2. Optimize your title tags, header tags, photos and meta descriptions for the city you service. Title tag: A concise description about the content of each page on your site (search engine optimized to include Minneapolis). This is the info that visitor’s and search engines will see when searching online. It is also what will appears in your web browser tab. It’s the highlighted big blue link words. These 50 – 60 characters are probably the most important element in your search result strategy. Based on these few words, people will choose whether or not to click on your result. As you can see from the above examples that adding “Minneapolis/ Twin Cities” into the title tag, they are already getting onto the local search radar. For effective SEO you should try and include the keywords you ultimately want to rank for on Google. The format can comprise three key sections –primary keyword first, then secondary keyword and finally the brand name. And remember humans are going to read it so it must make sense to us. Meta Description. This HTML attribute gives a longer description of the webpage. It’s the sentence underneath the blue clickable links. While these descriptions can be any length, they get truncated if they are longer than 160 characters. So aim to create descriptions below the 160 mark for the maximum impact. Again your main keywords should be used without looking spammy. The header tag. (H1) This header will be the most prominent piece of text on a webpage that stands out. It is usually the title of the post. It’s the headline of your page. You can optimize it to speak to your local Minneapolis target audience. It must be bold and easy to read. It tells your visitor and the search engine immediately what the page is all about, and should positively influence them to read further. If you use keywords in the header tag you are using great SEO and contributing to higher ranking. Optimize your photographs for SEO. You can add alt tags to any photograph on your site. The search engine crawlers can’t “read” images but if you add alt tags telling them what they are, they can contribute to getting a higher SERP’s ranking. It is not only a great SEO practice; it also assists visually impaired people by describing what is on the page. When your image description includes a keyword for local search, you are actively contributing to rising in the ranks. 3. Produce blogs that are keyword optimized for higher ranking in local search. When you write your blog articles you have to create them with local SEO tactics top of mind. You are not just going to cram as many keywords into your text that you can –that’s called keyword stuffing and Google doesn’t like that. Humans also don’t like to read keywords, they want relevant, authentic information that can assist them with a pain point or offer insight. Use one to two keywords per blog. Also Use long-tail keywords to help visitors find you online. The more specific and locally focused your keywords, the more you increase your chances of conversions. Try not to make your headline (title tag) too long that it gets cut off. Start with your primary (local) keyword. Try to keep it at the seven-word sweet spot. Adding “Wisconsin” in the blog post below is ideal local SEO in action. 4. Drive local traffic to your website through pay-per-click advertising. Googles AdWords developed their local search ads in 2016 to help businesses to connect with local customers. These pay-per-click ads for local businesses help to precisely target prospects in your geographic area. They are particularly effective in driving online to offline (O2O) actions. 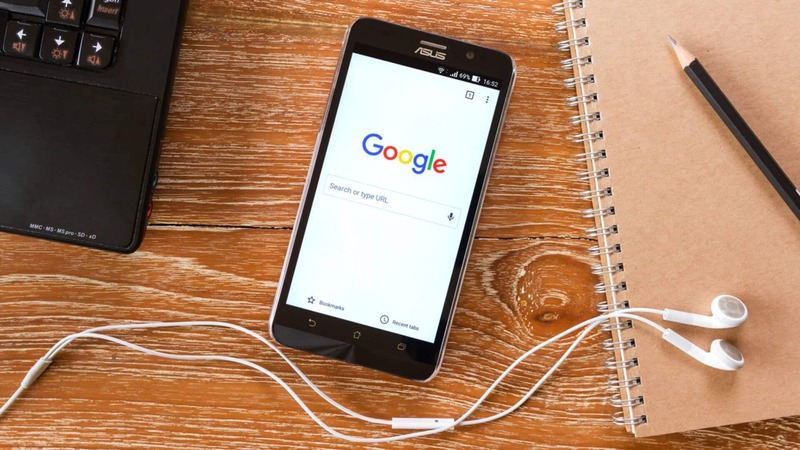 Google is looking at how search history on mobile led to in-store conversions and the results are astounding with an estimated 25X return on the initial investment. Your PPC budget does not have to try and target the world anymore –just your city. Targeting by location and time improves foot traffic. The best part about placing local PPC ads is that you only pay when someone clicks on your advert. When you utilize all four of these strategies for Local SEO in Minneapolis, you will definitely outrank your competitors. When you keep focused on achieving a top local spot with these SEO pearls of wisdom –you will welcome increased traffic to your business. If you need assistance with integrating these elements into your marketing playbook, give Gorilla Webtactics a call. Our Minneapolis SEO Experts love serving our local community!